Jeff Matsen is Of Counsel Partner to the Southern California law firm, Bohm Wildish & Matsen, LLP and has been providing a wide range of clients with the highest level of legal services for 50 years. 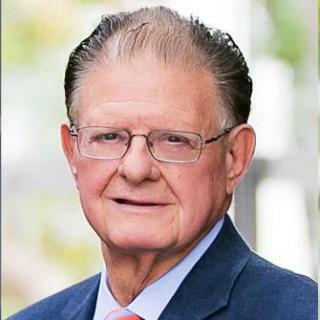 Since receiving his law degree with honors from UCLA School of Law in 1967, Jeff has been entirely dedicated to providing his clients with the quality, professionalism, and integrity they deserve. Bohm Wildish & Matsen, LLP consists of a team of professionals ready to provide asset protection for both domestic and offshore; business and sophisticated estate planning services; form corporations, LLCs and partnerships of all types; provide ongoing business, tax and legal advice for these entities; along with various additional practice areas. Mr. Matsen is also well versed in all areas of asset protection law, and international tax law. Jeff's knowledge, professionalism, responsiveness and integrity have vaulted him to the top of his field culminating in his designation by Worth magazine as one of the "Nations Top 100 Attorneys." He has been designated a California "Super Lawyer," and the nationally renowned attorney rating service "Avvo" has rated Jeff a perfect "10/10 Superb." He has continued to achieve the highest "AV rating" and has been designated a "Preeminent Lawyer" by Martindale Hubble. Perhaps most significantly, Matsen is the father of 7 children and was honored as the Orange County "Father of the Year" in 2007. He and his wife Susan reside in Newport Beach. Program Description Choose the Best Entity for Your Purposes LLC or S-Corporation... What's the best choice? Examine the advantages and disadvantages, management and operational issues of each entity, so you can effectively advise your client on which route to take. Register today! Examine the new tax bill's "Pass Through" Rule and what it means for LLCs and S-Corps. Learn how to structure the venture with an emphasis on how internal management and regulation choices affect the entity. Ensure management issues are properly handled to safeguard the organization. Review the major tax considerations that can impact your choice of entity decision. Who Should Attend This program is designed for attorneys. It may also benefit paralegals, accountants and tax professionals. Program Description Explore the Most Effective Uses of Single-Member LLCs in Asset Protection How much protection do single-member LLCs provide? Review the major elements of single-member LLC structure, understand veil piercing, and prepare your clients' asset protection plans for the changing tax environment. Register today! Make certain the asset plans you draft offer maximal protection. Get an update on the recent court rulings regarding single-member LLCs. Fully understand how the new tax bill will help single-member LLCs treated as sole proprietorships for tax purposes. Fortify charging order protections of your clients' single-member LLCs. Who Should Attend This focused legal guide is designed for attorneys. It may also be of benefit to trust officers, accountants, estate and financial planners, and paralegals. Attorney Jeff Matsen is a nationally recognized asset protection, probate attorney and estate planning attorney. He works with real estate investors & profiessionals, high net worth individuals and business owners to avoid probate and do high end asset protection work all over California and the USA. Why Choose Jeff Matsen For Estate Planning? You should choose me as your estate planning attorney because of my background and my experience. Not only as a lawyer, but in life. I know what your concerns are and I understand how to implement a plan that will meet your needs. I teach other lawyers how to do this. In fact many lawyers hire me to do their estate planning. I'm Jeff Matsen and I'm the founding and managing partner of Wealth Strategies Council. We help people preserve, protect and transfer their legacy to the next generation in the most cost saving and efficient manner possible. What Is An Attorney's Role In A Real Estate Sale? If you're selling real property, you should have a lawyer advise you because the buyer is entitled to a complete disclosure from you, with respect to the property. And if you don't provide those proper disclosures, the buyer can come back and sue you for misrepresentation, fraud, and failure to disclose. You need a lawyer to properly word and structure the disclosures, so that you're completely protected. If possible, it's good to have an as-if clause added in the contract. I'm Jeff Matsen and I'm the founding and managing partner of Wealth Strategies Counsel. We help people preserve, protect, and transfer their legacy to the next generation, in the most cost saving and efficient manner possible. What's The # 1 Mistake You See Businesses Making Today? The number one mistake that I see businesses make today is that they don't realize the different alternatives that they have to grow their business and to save taxes and to preserve their employee relationship that they have with their key trusted employees. I'm Jeff Matson and I'm the founding and managing partner of Wealth Strategies Counsel. We help people preserve, protect and transfer their legacy to the next generation in the most cost saving and efficient manner possible.